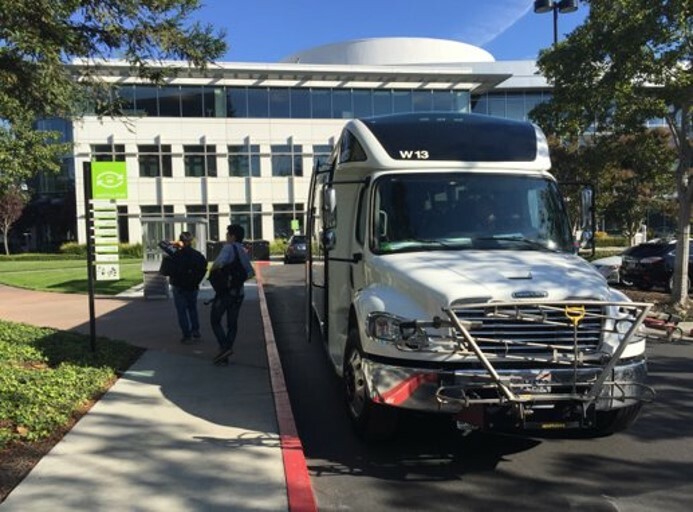 Nvidia offers a network of employee shuttles across Silicon Valley. Their sustainable commuting success story was featured on a webinar presented by the Association for Commuter Transportation and WeDriveU. 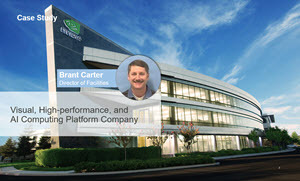 Improve mobility for the large volume of employees moving into new facilities on campus. The desire to become good corporate citizens and good partners to the community and the environment inspired the transportation program’s name, “Green to Work,” said Carter. WeDriveU last mile shuttles between Nvidia’s campus and Bay Area transit stops, including BART, CalTrain, AMTRAK and ACE Train. Employees tap into public transit passes and other mobility options, such as ridesharing, ride matching and a bike program with racks, lockers and trail access. Carter described how these transportation options support “an explosion in our build programs for our local campus,” noting the first building is complete and construction is underway on a 750,000 square foot follow-on building. The challenges he pointed out include permitting stipulations to not have the same number of parking spaces as employee occupancy, plus the expense of underground parking. Click on the image to listen to ACT’s webinar replay on actweb.org. The strategy highlighted by Carter – to get employees to existing infrastructure with first mile and last mile shuttles to public transit – is achieving impressive results, beginning with 250 fewer cars on campus each day (based on daily WeDriveU shuttle ridership). WeDriveU is proud to partner on ‘Green to Work’ and excited to see what the future holds.